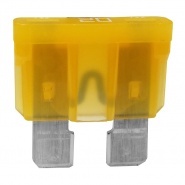 Standard car and commercial blade fuses. 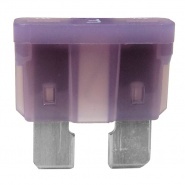 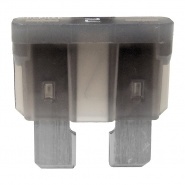 Durite auto electrical standard sized vehicle in-line blade fuses and holders. 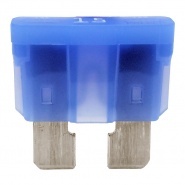 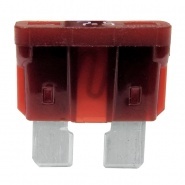 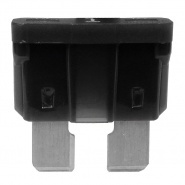 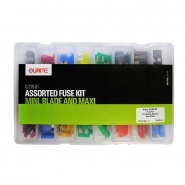 The range includes 1A, 2A, 3A, 4A, 5A, 7.5A, 10A, 15A, 20A, 25A, 30A, 35A and 40A blade fuse versions. 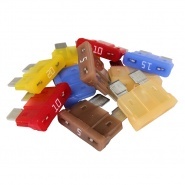 All the auto blade fuses are available in packets of 10 for light usage, packs of 50 for garage and workshop use and bulk packs of 200 pieces for large ready use stockholders and production runs. 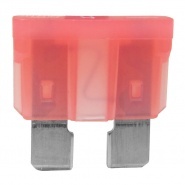 Durite automotive standard size blade fuse, pink, width: 19.0mm, length including blade: 19.0mm thickness: 5.0mm. 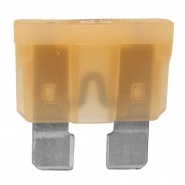 Durite automotive standard size blade fuse, tan, width: 19.0mm, length including blade: 19.0mm thickness: 5.0mm. 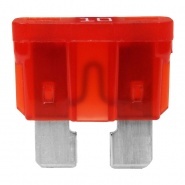 Durite automotive standard size blade fuse, neutral, width: 19.0mm, length including blade: 19.0mm thickness: 5.0mm. 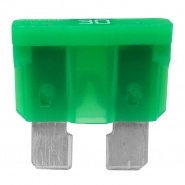 Durite automotive standard size blade fuse, green, width: 19.0mm, length including blade: 19.0mm thickness: 5.0mm. 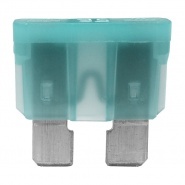 Durite automotive standard size blade fuse, aqua green, width: 19.0mm, length including blade: 19.0mm thickness: 5.0mm. 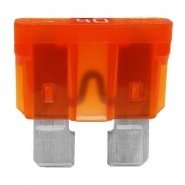 Durite automotive standard size blade fuse, orange, width: 19.0mm, length including blade: 19.0mm thickness: 5.0mm.